Recently, RFcnn.com has released its new products: E2 mini baluns. Recently, RFcnn.com, a well-known balun manufacturer and retailer, has released its new products: E2 mini baluns. At the company’s one-stop online store, these items are now available at discounted prices, up to 32% off. According to the CEO, the promotion will last until December 18, 2013. As a leading company in the industry, RFcnn.com puts much emphasis on product quality as well as customer service. It understands that product and service are key factors for success. The company has received many positive reviews from customers across the world. Its practical and durable products are among the best-selling items in the global market. Having been working in the field for several years, the company has the ability to provide different kinds of baluns in a large number. Its balun products include G703 mini baluns, E2 mini baluns, 1.6/5.6 mini baluns, type 43 mini baluns, BNC mini baluns and so on. 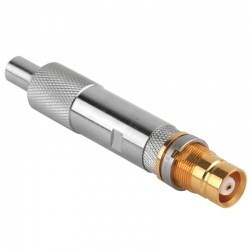 More details about the company’s high quality connectors can be found at http://www.rfcnn.com/Mini-Balun-1-6-5-6-L9-female-to-IDC-AWG24-26-RF-Connector-88.html.